-- True love stories never have endings. Marilyn Monroe falls in love with a soldier when she takes a trip to Korea to entertain the troops, she blissfully shares a deep relationship with him. Unfortunately, everything comes to an end when her beloved soldier mysteriously disappeared. She keeps a bittersweet memory of him until she is found dead from an overdose of sleeping pills, by her housekeeper Eunice Murray. 45 years later, Helen Price is a typical young woman with recurrent dreams about a certain time and place that she finds familiar but she can't explain why. She dreams of herself being Marilyn Monroe and she feels a strong love towards a man she doesn't even know; she has only seen him in her dreams. She believes that he's somewhere waiting for her, even though she had never physically met him. o escape the fiery passion, she runs into the arms of Richard, an affluent lawyer. However, she miserably fails. His enigmatic absence sharpens the romantic emotions she feels for him, and she's unable to share intimacy with Richard because the stranger's face keeps dancing through her mind. Incapable of dealing with her frustrations, she turns for help to Dr. Davis, a Psychiatrist with an interest in parapsychology. Love Sick highlights the struggles faces by a confused woman in achieving True Love and Self-discovery. This unforgettable story of undying love combines Mysticism, Suspense, Mystery and Romance into a web of good and evil. 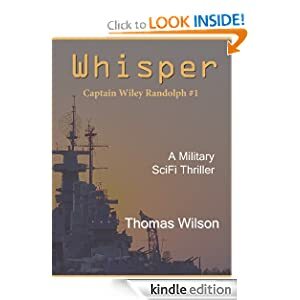 -- The crew of the USS Whisper must get back to their rightful place in time after accidentally transporting 200 years into the past while testing a device to make the ship invisible. Captain Wiley Randolph and his crew fight against time, a 200 year old frigate, a Japanese Zero, and a German Wolf Pack of submarines to get home safely. Great gift for dad. Guy gift for the holidays! -- Civilization as we know it ended more than fifteen years ago, leaving as it's legacy barren wastelands called the Deadland and a new terror for the humans who survived- hordes of undead Biters. 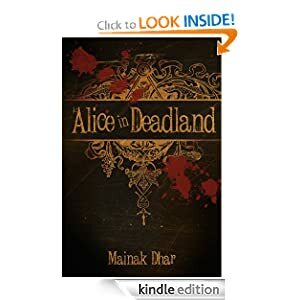 Fifteen year-old Alice has spent her entire life in the Deadland, her education consisting of how best to use guns and knives in the ongoing war for survival against the Biters. One day, Alice spots a Biter disappearing into a hole in the ground and follows it, in search of fabled underground Biter bases. What Alice discovers there propels her into an action-packed adventure that changes her life and that of all humans in the Deadland forever. An adventure where she learns the terrible conspiracy behind the ruin of humanity, the truth behind the origin of the Biters, and the prophecy the mysterious Biter Queen believes Alice is destined to fulfill. A prophecy based on the charred remains of the last book in the Deadland - a book called Alice in Wonderland. -- Three women, one bar and three different reasons for buying it. 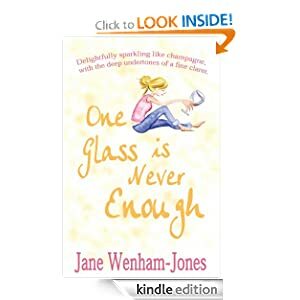 Single mother Sarah needs a home for her children; Claire's an ambitious business woman. For wealthy Gaynor, Greens Wine Bar is just one more amusement. Or is it? On the surface, Gaynor has it all - money, looks, a beautiful home in the picturesque seaside town of Broadstairs, and Victor - her generous, successful husband. But while Sarah longs for love and Claire is making money, Gaynor wants answers. Why is Victor behaving strangely and who does he see on his frequent trips away? What's behind the threatening phone-calls? As the bar takes off, Gaynor's life starts to fall apart. Into her turmoil comes Sam - strong and silent with a hidden past. Delightfully sparkling, like champagne, with the deep undertones of a fine claret. -- "Why am I here...and God, are you there?" 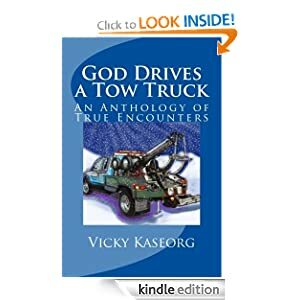 God Drives a Tow Truck is a compilation of true stories about the author's quest to find God. In her voyage from atheist to believer, she gradually discovers that while God's face may not be clearly seen, the brush of His fingertips is often felt. In a personal treasure hunt for infinite value, the search for God in the everyday occurrences of life is humorously depicted in sometimes eerily strange situations. The stories unfold from seemingly commonplace events to miraculous conclusions. Most of us won't find God in a burning bush, like Moses did, but like the author, we may find Him in a burning house...or perhaps, even driving a tow truck. -- Michael’s life was forever changed by the brutal murder of his wife. As the reality of her death registers, Michael feels a strange force at work inside of him. 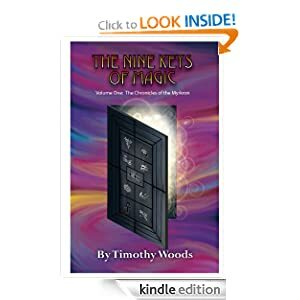 Seeing nine ominous doors in his mind, six of them burst open, he hears unfamiliar words whispered. Repeating those words, Michael finds himself, unwittingly avenging his wife by incinerating the killer.